Well, now that the warmer weather is starting to make it’s move into the central and northern parts of the country many folks are thinking of getting their towable boats & RV’s ready to roll for the season. There are many things on the “to do list” in order to get a trailer ready for the season. One of the most over looked things on that list is the trailer leaf spring, and there are a few reasons for this. 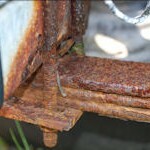 It is easy to over look trailer leaf spring maintenance because it is not something that needs to be done very often. 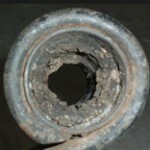 Just because something does not require often or annual maintenance does not mean it should be over looked. 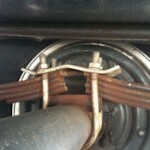 Trailer leaf springs should be checked often to ensure that they are always in safe working condition. If all of those things check out fine then your leaf springs should be good to go. Just make sure to go through the same check next time trailer maintenance is done. If there was an issue noticed and the springs need to be replaced, that job is probably easier than you might think. First thing to do is to identify which type of Trailer Leaf Spring you have and the proper way to measure it. Once you have the correct replacement spring and all the proper hardware on hand its time to begin the job. Remove Weight from springs and axle by jacking up the trailer (All trailers and situations are different so please use the safest way to do this, Jack stands and Wood Blocks work great). With the trailer in the air and the axle lightly supported, remove the U-bolts being used to attach the leaf springs to the axle. Keep in mind that gravity will come into play if the tires are off the ground they will drop to the ground when those bolts are removed. The shackle bolts can now be removed from the hanger and spring which should now release the spring. Reverse process to install new leaf springs, bushings and shackle bolts. We always like to stress safety so it goes with out saying that most of this job should be done without putting any major extremity under the trailer. Get a Helper, It can be a one man job but it is a lot easier with help. Next Post: Pre-Season Check List.